A reminder that THERE IS NO Wednesday Junior Training and NO gym on Thursday during the school holidays. Great news from Toruń, Poland at the World Masters Indoor Championships as Colin Welsh has qualified 3rd fastest for tomorrow nights M35 800m final. Colin finished third in heat 1, which was the fastest of the 3 heats, clocking 1:59.51 and will return to the track tomorrow night to compete in the final, 19:11 our time. In what’s undoubtedly been a stellar season for Eilidh Jaffray, the best is yet to come. 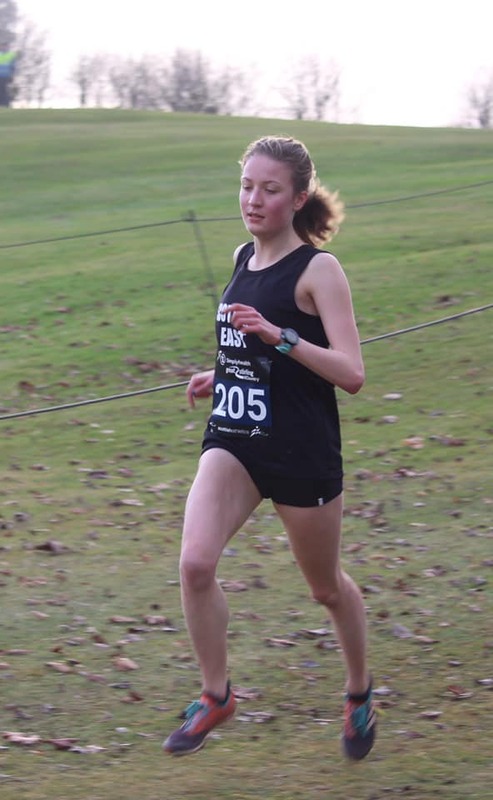 Hawick High School pupil Eilidh (17), has made great strides over the last 18 months and her dedication to running has been rewarded with the chance to represent Scotland at next month’s Virgin Money Giving London Mini Marathon. 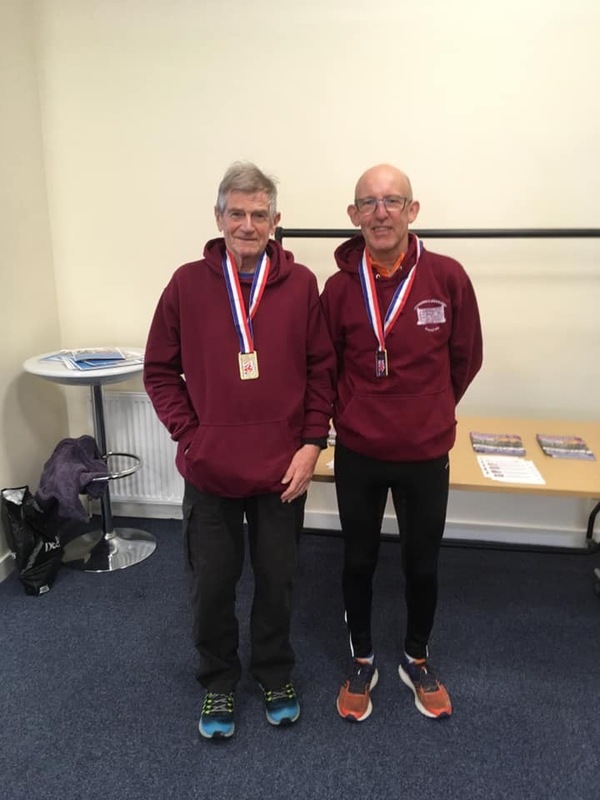 An event previously won by four-time Olympic gold medallist Sir Mo Farah, there is two age groups (Under-17 & Under-15) competing with both boys and girls categories. The races follow the last three miles of the World-famous Marathon route from London’s Old Billingsate to the finish on The Mall. 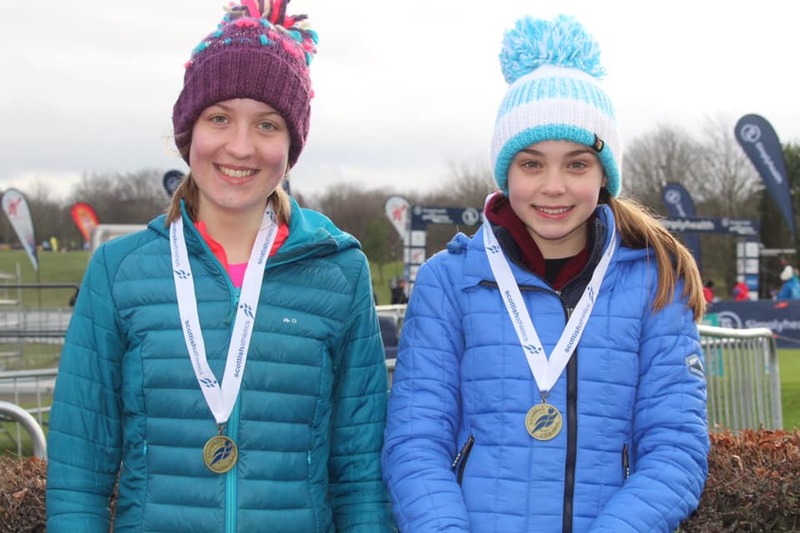 Eilidh secured Under-17 Women’s selection with a fine performance at the recent Young Athletes Road Races held at the Royal Highland Centre, Ingliston, by finishing 5th. Eilidh and Iona Jamieson who both won team golds in their respective categories at the Inter District Championships when competing for the East. And ‘very far’ she has certainly come, for things might have been totally different if a highly talented swimmer had stuck to her original sport of choice. Eilidh ultimately found herself in need of a change. “I fell out of love with swimming, so I started running,” she openly admits. Dad Raymond, a long-time runner himself, provided plenty support towards the prospect of eldest daughter Eilidh trying out another sport, one so close to his own heart. The devotion and commitment it takes to train and compete as a swimmer has probably been a huge catalyst that’s allowed Eilidh to adapt so well to the rigours of running. “I really enjoy my training,” says explains. Having stanchly dedicated herself to training, Eilidh is now reaping the rewards. 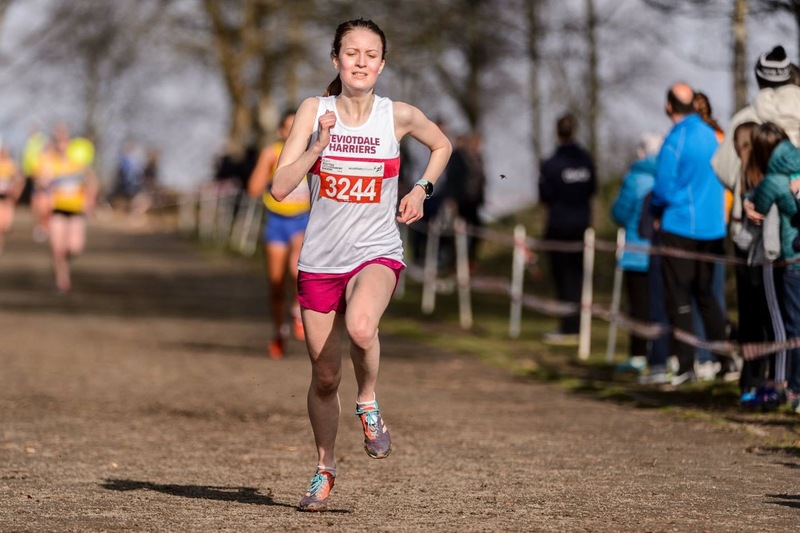 Alongside five teammates she will don the Scottish colours in the Under-17 girls race in London and compete against runners from Wales, Northern Ireland and the nine regions of England. But competing and competing to a very high standard seem to come hand in hand for Eilidh. In her previous guise as a competitive swimmer, Eilidh again, was no stranger to success. “I managed to win a bronze medal in the 100m fly at Scottish National Age Groups and also swam for Scotland East at the British Inter-Counties,” she said. And Eilidh will never forget her time in the pool but knows running is now the sole focus; “I think swimming will always be a big part of my life because it taught me so much. With her education and running future clearly mapped out, Eilidh can hopefully now focus on her training. Come the 28th of April, she will find herself in the deep end as she races some of the best young runners this country has to offer but with her enthusiasm, dedication and no lack of talent, it will surely all go swimmingly.